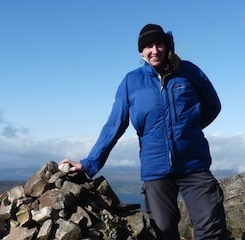 Stuart Greig only discovered the joys of long distance walking at the age of 40, when he committed to accompany a friend on Wainwright's Coast to Coast walk. As he dipped his boots in the North Sea at Robin Hood's Bay he knew it would have to be just the first of many. Since then he has completed many of the UK's National Trails and undertaken many other multi-day walks in England, Scotland and Wales. In the gaps between long walks, he may be found walking and backpacking shorter routes in the hills of Cumbria and Yorkshire.